It’s that time of the year again. Taxpayers all over the country are scrambling to gather their receipts and connect with a tax preparation service in time to meet the April 18 deadline. Since many people feel overwhelmed or undereducated about their income tax preparation they rely on services to get the job done. As years have gone by tax preparation services have certainly grown more expensive. For taxpayers not expecting a hefty refund check (savvy taxpayers aim to break even with the government) the price for tax services can hurt the budget. What a lot of consumers don’t know is there are ways to avoid the cost of tax preparation even if you can’t do the work yourself. 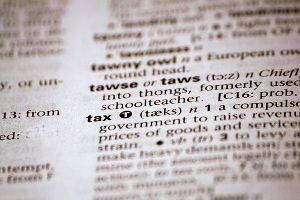 If you are unfamiliar with the free resources meant for tax assistance it will be worth your while to keep reading. Not everyone will be eligible to use the resources, but this assistance can still be beneficial to refer family and friends to. The Volunteer Income Tax Assistance (VITA) organization is full of volunteers that are qualified to prepare your income taxes. There are literally thousands of locations around the country where tax sites are set up to help individuals for free. You will need to search where your nearest VITA site is located but many sites are set up in local malls, schools, libraries, community halls, and churches. VITAs can also be found on military bases. For taxpayers who earn more than the eligible income amount applicable for VITA help you still have options for free tax preparation and services. Millions of people qualify for the free service but not everyone takes advantage of the help. The FreeFile program is available through the IRS and their website. For people over the age of 60 who earn a low to middle-level income there are a multitude of options for free tax preparations services through AARP. In order to be eligible to receive the free help you only need to be of age and not necessarily a member of the AARP organization. You can research the location nearest you for tax preparation help on AARP’s website. If you do not qualify for any of the free tax preparation services listed above know that you can always file for free by using the online fillable forms from the IRS. You will not be able to e-file state and local tax information, but you do have the advantage of access to all the tax documentation needed to get the job done. There is no access to tax or financial advice when using the free forms, but the form software will figure and check your mathematical calculations. If you prefer to work with a tax preparation specialist know that there are many available options. It is worth an investment of your time to explore the variety of services and costs provided by licensed and qualified tax specialists. Make a few calls and compare the services provided before committing to one company or professional. It is advisable that you work with someone that guarantees to cover you if a mistake has been made and an audit occurs. You also want to make sure the person you agree to work with is knowledgeable about the many tax law changes effective in 2011. What are Refund Anticipation Loans? After starting a retirement fund and having kids, tax season has become increasingly difficult. I can see why it would be important to get some tax services help. I really like this idea because those who specialize in tax preparation know exactly what they are doing! @Richard – If you sell the silver, you will have taxable income. If you cannot establish the cost basis, the entire amount might be taxable. That said, I don’t know how this would impact your disability income — the best bet is to ask your insurer. As for your SSI, according to SSA.gov — http://www.ssa.gov/pubs/10069.html#count — capital gains should not count against you. Your situation really pushes the limit of my knowledge, and it’s probably best to consult a professional. Due to a horrific accident about 4 years ago, I became totally disabled and now must draw disability and SS permanently to live. Years ago, I was given a fairly large sum of .999% pure silver coins. I now have some problems with my house that needs attention very soon. Is there anyway to cash this silver somewhere without it affecting my disability and SSI. I am 54 now and can only get around with assistance. Also, is there anyway to keep from paying taxes if I sell it sometime soon. Please Help. I have my money (silver) for repairs but I don’t know how to use it without it affecting benefits or taxes. What a great list of resources. Thanks for sharing! Thanks for a great post. One of the nice things about the IRS site is that they make it easy to print your forms as a .pdf once everything has been checked. This is very helpful if your return involves a variety of forms (such as a Schedule C or D) as you can easily cross-reference everything. However, if you do choose to hire someone or go to one of the many store front tax preparers, be sure to ask how many similar returns they’ve filled out. Some of the rules can be complicated so you definitely want an experienced consultant!